When Jesse Graham almost runs over a "body" in the road one night, she is plunged into a labyrinth of secrets, lies, and murder. All Jesse wants is a simple life teaching at St. Bart's and a chance at love with Joe Riley. 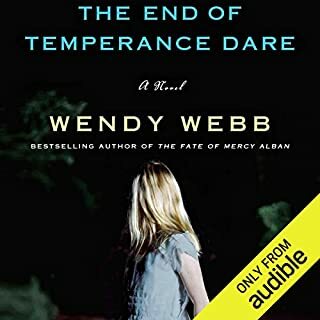 She realizes that plan has been thwarted when puzzling occurrences at St. Bartholomew Academy for Girls get increasingly dangerous. The danger doesn't just spring from the ghost who haunts the grounds of St. Bart's, but from a sinister presence that is not ghostly at all. As she digs into the mystery, threats on her life and the life of her student escalate. 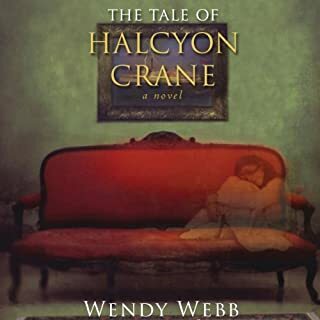 Another beautiful story filled with mysteries love and ghosts. I loved this heartwarming story. Beautifully done. Even worse than the first in the series. I get it, I get it, authors don't want the female lead to end up alone. Personally, I find it really boring when I'm trying to read a nice ghost story and the characters are constantly distracted by romance. Surely, one sidekick is more than enough! just get this woman one boyfriend already if you REALLY can't help yourself, and let her carry on finding ghosts and mysteries. And these male suitors are all so incredibly gorgeous and charming, with such lovely personalities, no wonder she spends the ENTIRE 2 books not being able to settle for one of them. I mean, with this track record, she must be curious to see who comes up in the third book in the series, surely it can be no less than some sort of God. Luckily, she has been very, very hurt by someone before, which she repeats ad nauseum to these bewitched, perfect male specimens, thus having an excuse for never making her mind up, while still keeping them around. Not that they have much choice anyway, since every other woman in town is, very conveniently, a nun. Would you listen to Buried Secrets again? Why? I was literally holding my breath as she went down into the tunnel, praying that it would not collapse on her and when it did, could she be found in time? Amy makes you feel like you are there....she did a FANTASTIC job narrating this. No. The narrator has such an annoying "valley girl" delivery, I had a difficult time listening to it. She sounds about 16 and has an affected way of speaking. I got this second book in the series because I didn't remember this until I started listening. If I'd remembered her narration, I wouldn't have bought it. The plot was pretty good. Someone more mature. I don't know who. The main character is supposed to be 28, not 16. This is the first time I've left a negative review because of a narrator. I know she's won a lot of awards, but I just don't like her affected narration style. If you could sum up Buried Secrets in three words, what would they be? Would you recommend Buried Secrets to your friends? Why or why not? Yes, because the book is enjoyable to listen to. I was very pleased that Amy McFadden narrated this book as well. She is very pleasant to listen to and she shifts between the characters effortless. Part of the joy of this book is listening to her tell the story. No, but I enjoyed listening to the book! I enjoyed the book and I would definitely read/listen to more books about Jesse Graham! A distressed ghost, a whistle-blower, a lost heir, a spoiled snobbish mean girl bully, secret tunnels, peer pressure, undercover agents and murder are all contained in this novel. Jesse a newly discovered heir, starts a teaching job at an all girls Catholic Academy. One of her pupils verbally bullies a scholarship classmate and keeps continuing her verbal abuse after be warned to cease. As a result Jesse gives the girl three detentions. The girl's father calls the principle, Jess and the school board to protest Jesse unfairly picking on his little princess. Daddy, who is as boorish and bullying as his daughter, demands that Jesse be fired. Little does daddy know that Jesse actually owns the school. Besides the ghostly haunting there is also another sinister plot afloat which Jess will find herself in the midst of. If you like paranormal mysteries with a bit of a Gothic style then this would be a good choice. The narration is well preformed sharp and clear. What made the experience of listening to Buried Secrets the most enjoyable? It had to be Jesse getting me hooked on her latest mystery. Jesse had to be my favorite with her friend from St. Bart's coming in a close second. For some reason Jesse seems to attract things that need to be solved. She seems to be the Jessica Fletcher of her time period. Can you imagine if those two characters met? 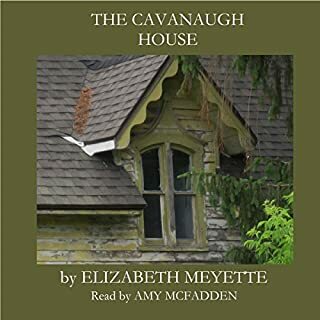 I was fortunate enough to hear her narrate the first book titled "Cavanaugh House". It was a great follow up. She had me thinking about how Jesse seemed to be a younger Jessica Fletcher in the way she went about solving things. Yes but of course that wasn't an option. I had no trouble picking up where I left off though. Liked it so much that I listened to it twice. I have found that I prefer to listen to this author's work but I would also be open to read the actual book. 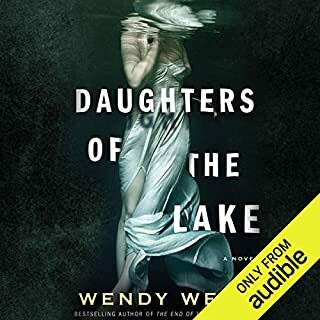 This series is great in that you don't have to have listened to the first book in order to enjoy this one. But if you want to know about her relationship with Joe and the family that she didn't know she had than you want to make sure to check it out. Ms. McFadden does a great job in bringing our main character to life. She had me giggling every once in a while and I'm sure at times the people in the next car thought I was nuts. But I didn't care. I enjoyed every minute that this narrator was reading to me. She is one of the reasons, as well as this author, that I no longer like to listen to the radio. When I have great narrators and authors to listen to why would I. 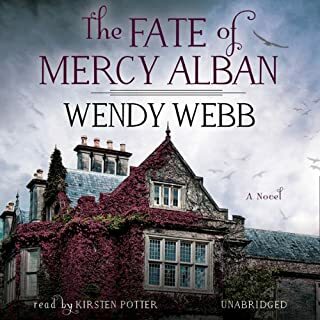 This author has other works that I will need to check out but sadly this was the only other book in her audiobook arsenal. But that won't stop me from doing a search every once in a while to see if she's added anything else. I can never have enough books in my audio library. An intriguing entertaining and thrilling suspense! Buried Secrets is a mystery mixed with a little bit of romance. There were so many twists and turns throughout the whole book to keep you entertained. Jesse is strong and full of such compassion and curiosity – sometimes this can her into trouble. This book was well written, witty and enjoyable. It will keep you guessing up to the very end. The plot is exciting and believable while the characters are engaging. The scenes are vivid with good description so that you feel as if you were right there with the characters. Even though this is the second book in the series, you are able to read it without reading the first - it is a story uniquely its own. Amy did a good job with narrating the audio book. The dialogue was well done. Her voice is smooth and gentle and she brings the characters to life by expressing the humor and strength of each character. This was the second book by Elizabeth Meyette that I have had the pleasure to listen and read. I think I enjoyed it more than I did even the first book. I recommend this book to anyone who enjoys a good mystery with a little bit of romance thrown in. The plot was well crafted to keep me guessing about what the secrets were and who the real bad guys were. There were many levels of secrets. She was perfect as Jesse Graham. She was also very good as Maggie and the various schoolgirls. I enjoyed the story. There were several areas where I was talking back to the characters. 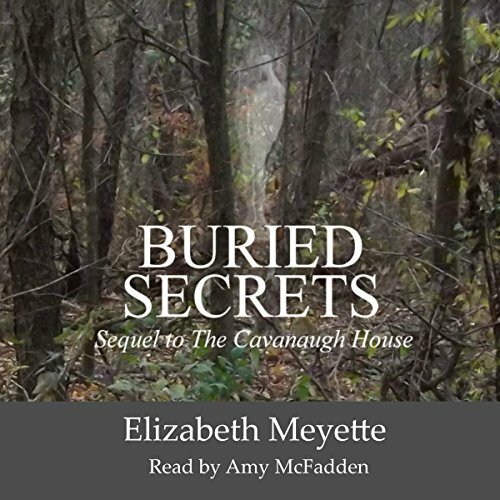 I received an audio copy of Buried Secrets in exchange for a fair review. A couple of things were new to me. 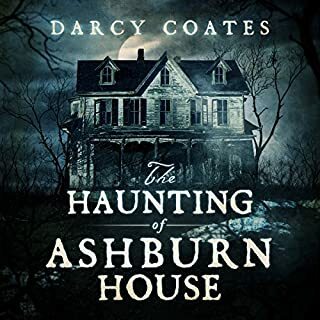 The Cavanaugh House series and Audible.com. I am very pleased with both. Buried Secrets is the second book in the series, but even though I hadn't read the first book I easily understood the premise and didn't feel lost when characters talked about events from the first story. The characters in Buried Secrets are engaging and very three dimensional. You empathize with Jesse Graham while also getting frustrated by her very human missteps in her relationship with Joe, Scott and the students at the school where she teaches. I was drawn in by her struggles to accept her new life while holding on to her old values. The secrets in Buried Secrets were tantalizing and made me want to get to the end to find the 'who' and 'why'. I thoroughly enjoyed the narrator on the audio. She brought the characters and story even more life and was a pleasure to listen to. I am a fan of Ms Meyette's historical romances and I am a new fan of her Cavanaugh House stories as well.